Commercial Container Bali to Sydney Ready to GO! COMMERICAL SHIPPING BALI TO AUSTRALIA. Here are some of the pictures of the “Orange Squad” back in action, stuffing 1 x 20′ container of commercial goods heading for Sydney. 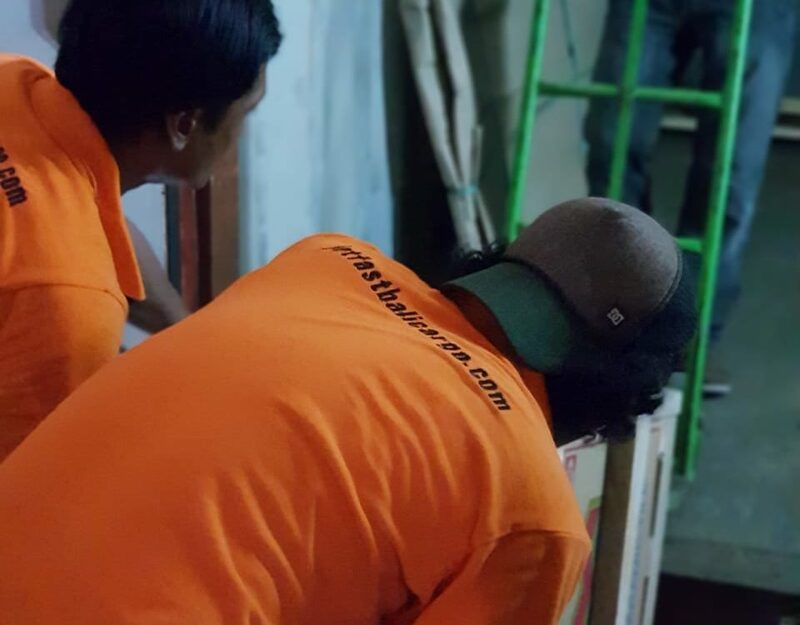 Jetfast Bali Cargo arranged the complete service package for our client, arranging supplier deposits, supplier collection’s, packing and crating, labeling, packing lists, export documents and clearance, container stuffing, transport to Surabaya, fumigation, and ocean freight to Sydney. Shipping from Bali cannot be any easier with the right forwarder behind you, solid advice, high service and Australian owned and operated. Door to Door. Contact us today at operations@Jetfastlogistics.com for a friendly discussion. Jetfast Bali Cargo in conjunction with Jetfast Logistics are your one stop shop for all your shipments into Australia, we arrange collection, packing, export clearance, shipping, destination charges including customs clearance, quarantine lodgement and delivery! We can even arrange to source for a product, payment or deposits to suppliers, the works – Which means you can concentrate on the more important things like running your business or more shopping! Because we are Australian owned and operated we know the requirements in both Bali and Australia, which means you are quoted Door to Door Accurately based on information provided and our quotations include no hidden charges. Your shipment is co-ordinated personally by us at origin and destination which means we are always in control and you know exactly where your shipment is with the ability to reach us directly! – Phone, Facebook, WhatsApp or email. Contact us today for any of the following!